Only weeks after the death of the “American Dream” Dusty Rhodes, professional wrestling is mourning the death of another icon. Roderick Toombs other wise known as “Rowdy” Roddy Piper died Friday evening at the age of 61. TMZ is reporting that Toombs died of cardiac arrest in his home in Los Angeles. 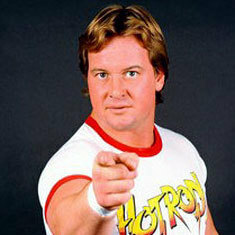 For over five decades, Piper was one of the greatest villains in the history of professional wrestling. He wrestled in practically every wrestling territory possible. His legendary “Piper’s Pit” created some of the most memorable moments including the smashing of the coconut over “Superfly” Jimmy Snuka’s head. He headlined the first ever Wrestlemania as he tag teamed with “Mr. Wonderful” Paul Orndorff against Hulk Hogan and Mr. T. He held numerous titles including the WWE Intercontinental and Tag Team championships. He was also an actor starring in cult classics such as Hell Comes to Frogtown and They Live. Piper made his last appearance with the WWE last August celebrating Hulk Hogan’s birthday on Monday Night Raw. Piper battled Hodgkin’s Lymphoma in 2006 and last November said that he was cancer free. He is survived by his wife Kitty and their four children. I was too young to watch Piper in his prime in the late 80s and early 90s but with the WWE Network, I’ve been able to go back and watch all the old matches from back in the day. Piper was truly one of the greatest. He could cut great promos, could make the fans love him easy and make them laugh but he could also piss the fans off and make them hate him just as easy. He was a good wrestler as well and had some great matches against Hulk Hogan, Ric Flair and Bret Hart which his Wrestlemania 8 match against Hart was one of the best Wrestlemania matches of all time. He even had a boxing match with Mr. T at Wrestlemania 2 which was pretty memorable despite not being the greatest but because they had legitmate hatred against one another. He was one of a kind and the world lost a great entertainer today, people that may have never watched wrestling before probably have heard of Piper before and that shows how great he was and how well known he was.